It’s good to be back home! As many of you know, we spent the last week in our hometown back in Pennsylvania. Traveling is fun and it was so great to see everyone, but it’s also sure great to settle back in. With that being said, here’s a quick workout to get you moving this week…especially if you’re stuck in the same snowstorm we are! This looks great! 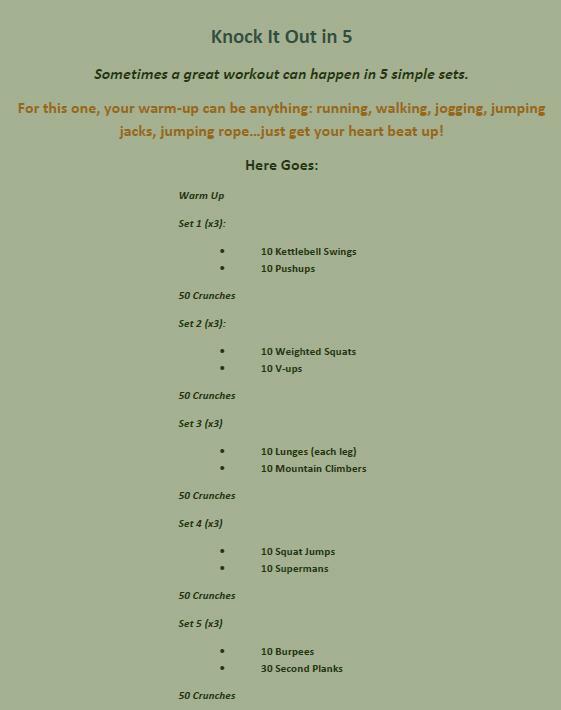 I like interval or rep workouts for my mornings, so I’ll try this one out. Good full-body workout.